Micargi KIDCO-G-PK 12 in. Girls BMX Bicycle Pink - 18 x 7 x 36 in. Micargi JAKSTER-B-20-RD 20 in. 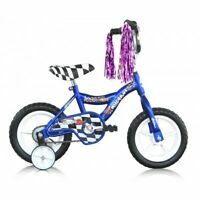 Boys BMX Bicycle Red - 21 x 7 x 45 in. Guards are cheap but overall seems like a good bike for a small child.